Hello everyone, I am Ashish Kumar Singh. I am basically from Bihar but I live in Mumbai. I have done my BE in Electronics and telecom from Mumbai University (2017 pass out). I have worked in an MNC for 6 months. Joining the forces was always a passion. I got my first call for SSB through UES navy but got screened out. After that got recommended in 3rd attempt though CDSE Navy. Got recommended in Airforce then through AFCAT. Lastly for Army through SSC tech-51. 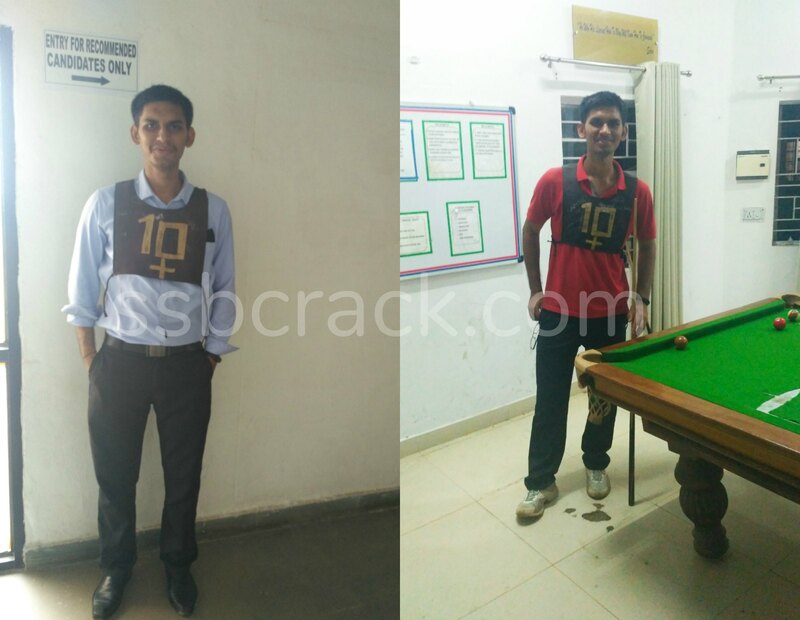 I will elaborate on my experience from the SSC tech SSB because it was one of the trickiest one. On the very first day around 350 candidates reported(nervous as hell!). The picture in the PPDT was very simple with few men standing in a queue. I gave a couple of points and in the results, only 25 candidates were screened in. I was lucky enough to get through. On 2nd day, we had the psychology tests which were also as usual. I attempted all the WAT and SRT ’s. In TAT, wrote the stories related to the life events I had experienced. In SDT, the one who knows himself well performs the best. On 3rd and 4th day, we had our GTO where our group in PGT got a difficult task and thus we could complete 3 out of 4. HGT was relatively easier where we completed it quickly. I gave some working ideas during the tasks which helped me. Always be a constructive member of the group. Give practical solutions which will always work in favour. In the command task, I was given a task where I had to enter a rounded area and come out of it using a different way. After I completed it GTO sir told me to find one more alternative to come out of the rounded area. I somehow managed to find it as well. In the GPE, there was a complete chaos in our group as no one was ready to accept each others solutions. I tried to calm everyone down and thus could not give many points. These are the important tasks in GTO. As far as GD and Lecture is concerned, I only gave a considerable amount of points which were enough. Try to give new points and do not repeat yourself in the GD and also never ever try to shout in GD. My interview was held on 4th day where I was interviewed by Commandant Sir of SSB Bhopal(I was in 22ssb). The interview started with a rapid-fire about myself. Then he asked about my previous attempts and how I prepared for the interview. After the starters, the main interview started where he loaded me with a bunch of General awareness and technical questions. I answered around 80% of the questions. Knowledge is what matters in the interview. The interview lasted for about 45 mins. On the evening of the 4th day we all went around Bhopal and enjoyed before the conference. In the conference, he asked me about the places I visited in Bhopal and asked to rate my performance. And finally the results came and my chest number was there. Made some amazing friends there and it all came to an end. What I learned from all these SSB’s is that a holistic approach is a key. You need to be a complete person who thinks rationally and have sound decision-making skills. Finally, I would like to mention some of my friends who helped me through this journey. Sudhakar, Rajneesh, Vishal, Rahul. Cheers Guys. Good luck Aspirants. Keep trying because the fruit will be totally worth the efforts!! Previous Post NDA Question Paper Leaked?